New Jersey is the most densely populated state in the country. With a dense population comes a myriad of issues in the pre-employment screening industry. Our investigators are trained in region and state specific techniques to make sure you New Jersey employee screening is completely accurate and legally compliant with federal and state hiring regulations. Many employers do not realize the restrictions and procedural hurdles need to be dealt with when conducting a simple screening. At ASG, we will provide guidance throughout all stages of the screening process from the disclosure statement through adverse action. The adverse action process can be daunting for some employers; many do not even understand what obligation they have in the process. All of our New Jersey employee screenings are handled trained investigators who will be able to answer any questions you may have, and upon request, can initiate an automated adverse action process to help keep your company compliant. ASG prides itself on integrity. Our criminal records searches come directly from primary sources, and we have worked to develop relationships with the appropriate entities across the county in order to ensure the most accurate New Jersey employee screening is conducted. The New Jersey Judiciary makes records available upon request and the New Jersey State Police maintain a separate criminal records database. We are not an online instant vendor that simply crawls old database data; our investigators work to make sure that you are satisfied. From Newark to Jersey City, Patterson to Elizabeth, we cover it all. We have access to all public records throughout New Jersey and beyond. We give you national coverage with detail at the local level. 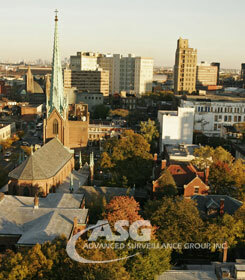 At A.S.G., we provide professional New Jersey employee screening services to help you protect your employees, company assets, clients and reputation. Our staff can assist you with every step of the process. We require a release signed by your employee or job candidate. Below is some general information about the types of searches we can conduct for you.